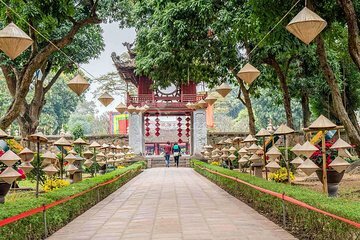 Explore the capital city of Hanoi on this small-group guided tour. The itinerary includes top attractions such as the Ho Chi Minh Mausoleum, Vietnam Museum of Ethnology, Hoa Lo Prison, and the popular Thang Long Water Puppet Theatre where a pool of water serves as the stage for puppets. Plus, you’ll have the chance to bike around Hanoi’s old quarter.